photo © 2007 Beverly | more info(via: Wylio) UPDATE (6-Feb-2017) Wylio still exists, but is now a paid subscription, plus in making it so they broke all their previous photo URLs. Having just spent a couple of hours redoing the markup for all the photos I've used, I do not recommend it at all any more. Wylio is this great little online tool for inserting photos into your blog posts. In essence, it allows you to search for photos published on Flickr under the Creative Commons license (“you are free to use the content providing you give proper attribution”), resize them to whatever size would look good in your blog, and then it will generate the HTML code for insertion into your post. It adds the correct attribution and links to the original source as a caption to the image. You then copy & paste that HTML code into your blog post. 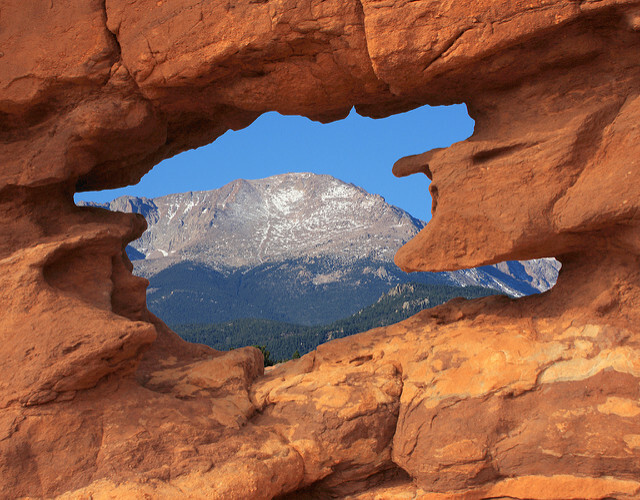 Just like the example to the right, showing Pikes Peak through a rock formation at Garden of the Gods. Works just great with Windows Live Writer too. You just switch to the source view and paste in the copied HTML. Morceau de gâteau. I love this: a simple app, well executed, that just saves you a boatload of time. I wonder how easy it would be to use the idea to create a plug-in to WLW.